Additional patrols are beginning to take place to enhance security. 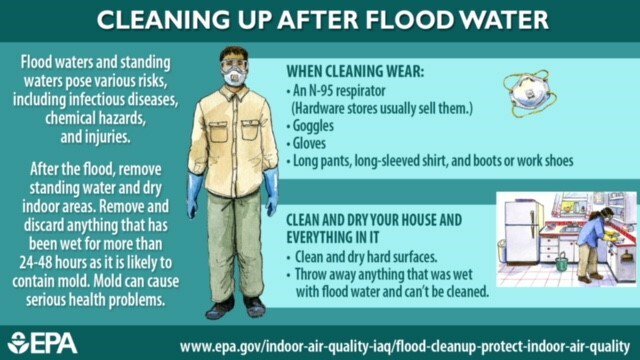 Residents are urged to follow basic precautions and not use generators indoors and keep them 20 ft from buildings. For additional safety tips please scroll to the end. The Commonwealth Utilities Corporation (CUC) has restored 53 of 142 water wells. The functioning water wells are now operating at full capacity. Free Potable Drinking Water: Hrs: 6:30 am – Midnight – Limitations: three 5 gallon limit/family. Free Non-potable Water: Hrs: 9:00 am – 4:00 pm – Limit: 100 gallons, except for Kloberville which is 50 gal. Stations open today: Navy Hill, Kagman, Kannat Tabla, and Koblerville. All Water Wells are now operational at the source. The Army Corp of Engineers is continuing to assist the CUC with the water pipe breaks throughout the island. Please boil or treat water from filling stations before using it for baby formula, cooking or drinking. See below for instructions. The Distribution Transportation Shuttle has ended as more localized points of food distribution is now being arranged. Please call 433-1803 for the location of the food/water distribution place nearest you. – The Chest Clinic is open for half-days indefinitely from 8AM to 12PM. – The Community Guidance Center is offering crisis counseling services near CHCC. Tinian Health Center sustained heavy damage. Emergency Room is staffed and fully operational on generator power. Power has been restored to a few places as the infrastructure is repaired and brought back online. As of yesterday at 2pm, 913 poles were down and damaged and there are 510 damaged transformers. Of the nine feeders, Feeder #1, #4, and #7 are now partially online or have power. A total of 6 out of 9 power feeders are not able to be utilized and need to be replaced. A total of 56 generators installed. Gasoline: 12 of 19 fuel pumping stations are now operational. Power Assessment: 754 down power poles and 9 damaged transformers. Additional crews and materials from Guam and Hawaii are expected soon. A total of 3 temporary generators have been installed. Mobil Oil Tinian Fuel Service is the only gas station that is operational on the island- There will be a $20 limit/car and only cash will be accepted as payment. The Mayor and Tinian Council have negotiated a lower gas price for the month of November. CNMI: Most Banks and ATMs are functioning through generator power. Others will be reopening once repairs are made. Significant damage to cell towers throughout the islands is impacting wireless reception/communication. Telecommunications companies have begun working on restoring service. Saipan: Currently cellular service is operating at 68% capacity, with is 41 of 60 cell towers. Tinian: Current cell service operational capacity is at 60%. The Emergency 911 service is now fully operational and taking emergency calls. CNMI Airports and Sea Ports: All airports/sea ports in the Marianas are now operational but only during daylight hours. All airports are restricted to humanitarian relief efforts only. Saipan Airport’s grid power is estimated to be fully restored by Nov 17th. Saipan and Tinian Roads – are 80% cleared. Propane and Diesel are available at Wushin. Hours: 8am – 5pm (next to fish and wild life) They are only filling containers for household use, not cars, trucks or businesses. Rota International Airport is open and fully functional. 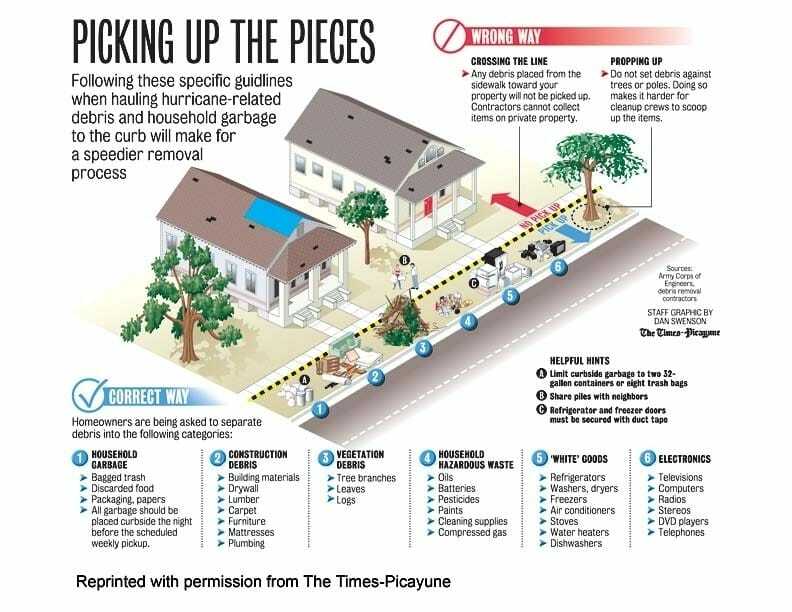 Debris pick up is being scheduled. 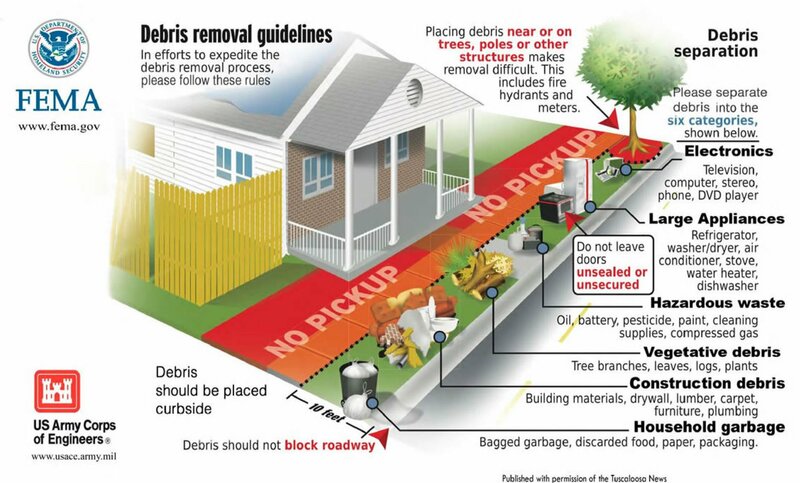 Please separate your debris as indicated in the flyer below (click to expand) otherwise it will not be picked up. Please tell your neighbors. Thank you! Guam is sending recovery assistance to CNMI in the form of technicians and National Guard Support. Support is also arriving in the form of electrical technicians from Hawaii and other states. The Governor of Guam has been working with federal and military partners, as well as with local agencies to extend assistance to the Commonwealth of Northern Mariana Islands to assist with their recovery efforts following Super Typhoon Yutu’s devastation. Approximately 140 Guam Guardsmen are expected to report on Monday and begin duty on Saipan as early as Tuesday or Wednesday of this week, for approximately 60 days. The Army Guard’s 1224th Engineer Support Company will also assist with recovery efforts to include support of U.S. Indo-Pacific Command and FEMA as the lead federal agency in support of debris clearing missions in CNMI. 2) Marpo Valley – Bus Shelter across from former Senator David Sing’s home. 3) Carolina Heights – Bus Shelter #14 near the St. Nicolas home. DPS vehicles will pick residents at 8:30am and will return them to these bus shelters at noon when the distribution sites close. Homebound individuals, the elderly and disabled should register with the Dept of Community and Cultural Affairs so they can receive their delivery of water and food. Please call 433-1803 to register. Power has been restored to a few places as the infrastructure is repaired and brought back online. As of yesterday at 2pm, 913 poles were down and damaged and there are 510 damaged transformers. Of the nine feeders, Feeder #1, #4, and #7 are now partially online or have power. A total of 6 out of 9 power feeders are not able to be utilized and need to be replaced. A total of 53 generators installed. Saipan: Currently cellular service is at 61% of functioning, which is 38 of 60 cell towers. Tinian: Current cell service is at 50%, with 3 of 6 cell towers being operational. CNMI Airports and Sea Ports: All airports/sea ports in the Marianas are now operational but only during daylight hours. All airports are restricted to humanitarian relief efforts only. Tinian Roads – Main, secondary and tertiary roads are now clear. The Commonwealth Utilities Corporation (CUC) has restored 46 of 142 water wells. The functioning water wells are now operating at full capacity. There are currently 860 individuals in the 14 shelters across 2 CNMI islands. The four long-term congregate shelters being prepared to receive residents continues and transition is expected to be completed by Nov 10th. The Army Corp of Engineers is now assisting the CUC to bring new generator that arrived yesterday online . Hospital and Emergency Rooms on Saipan are fully operational on generator power. The Chest Clinic is open for half-days indefinitely from 8AM to 12PM. The Community Guidance Center is offering crisis counseling services near CHCC. Tinian Health Center sustained heavy damage but is open for emergencies only. It is currently operating on generator power. Team Rubicon is providing mobile medical services to residents. Power has been restored to a few places as the infrastructure is repaired and brought back online. As of yesterday at 2pm, 913 poles were down and damaged and there are 510 damaged transformers. Of the nine feeders, Feeder #1, #4, and #7 are now partially online or have power. A total of 34 temporary generators have been installed. Power Assessment: 754 down power poles and 9 damaged transformers. Additional crews and materials from Guam and Hawaii are expected soon. More generators arrived yesterday to power Water Pump Stations. A total of 3 temporary generators have been installed. CNMI Airports and Sea Ports: All airports/sea ports in the Marianas are now operational but only during daylight hours. Rota International Airport is open. The Commonwealth Utilities Corporation (CUC) has restored 43 of 142 water wells. The functioning water wells are now operating at full capacity. 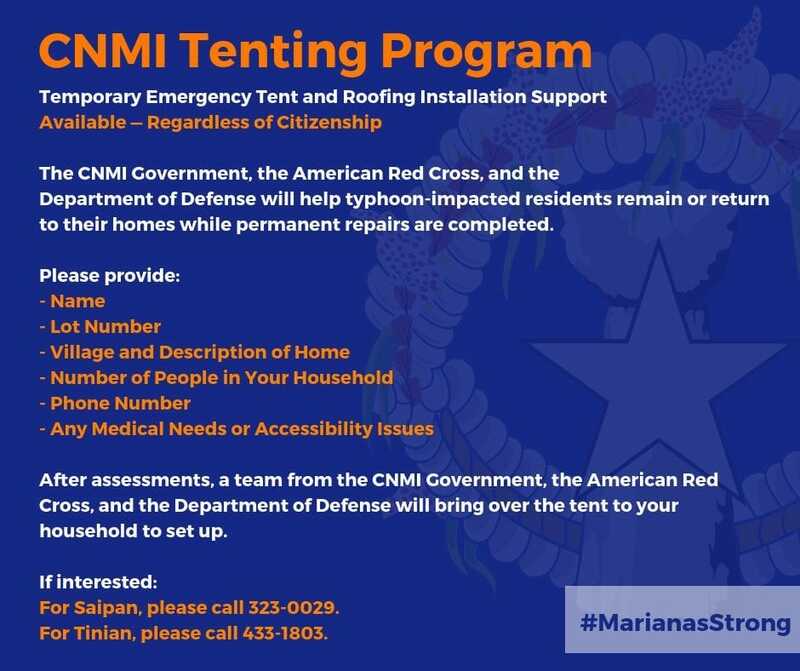 CNMI Tenting Program is a temporary housing solution for those eligible individuals whose home are damaged. For information on the Tenting Program, please call the following phone numbers below. Twelve Family tents were installed today. The Army Corp of Engineers is now assisting the CUC to get a new generator that arrived today along with the water pipe breaks throughout the island. with this issue. Power has been restored to a few places as the infrastructure is repaired and brought back online. As of yesterday at 2pm, 913 poles were down and damaged and there are 510 damaged transformers. Of the nine feeders, Feeder #1, #4, and #7 are now partially online or have power. Power Assessment: 754 down power poles and 9 damaged transformers. Additional crews and materials from Guam and Hawaii are expected soon. More generators arrived today to power the Maui Water Pump Station and additional water well stations. The Dept. of Public Safety will be increasing public patrols to ensure the safety of residents is maintained. Additional substations will be open. The total hurricane related fatalities are now 2: 1 as a result of a collapsed building and another from carbon monoxide poisoning. 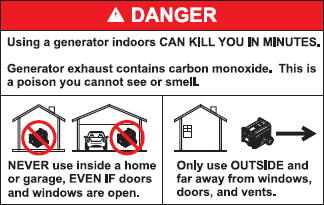 Residents are urged to follow basic precautions and not use generators indoors and keep them 20 ft from buildings. For additional tips please scroll to the end. The Commonwealth Utilities Corporation (CUC) continues working on Feeder One to enable water distribution from the Navy Hill water well and to provide utilities to the Commonwealth Healthcare Corporation (CHCC). Water remains a priority for all residents as FEMA, CUC, along with Guam Power Authority and Primary Source continue assessments. Residents within Feeder One are advised to disconnect generator power that is directly fed into their main circuits to avoid damage. Kannat Tabla water filling station is open from 9:00 am to 3:00 pm. Limited to filling up to 50 gallons per vehicle. Six additional stations are open today: Navy Hill, Kagman, Kannat Tabla, and Koblerville. CHC Outpatient Clinics in Saipan are not yet operational. Tinian Health Center sustained heavy damage but is open for emergencies only. It is currently operating on generator power. There is power in parts of Navy Hill as the infrastructure in that area was minimal. An advance team from the Guam Power Authority arrived late yesterday to provide technical support to CUC. They had a briefing with CNMI officials before beginning their assessments for both Saipan and Tinian. GPA also is communicating with CNMI and FEMA officials to coordinate the next wave of personnel and equipment. A Partial Power Assessment: 754 down power poles and 9 damaged transformers. Additional crews and materials from Guam and Hawaii are expected soon. More generators arrived today to power the Maui Water Pump Station and additional water well stations. There is now 1 open gas station – Mobil Oil Tinian Fuel Services – There will be a $20 limit/car and only cash will be accepted as payment as the gas station has no power. Guam: Has regained normal wireless service. CNMI Ports: All ports in the Marianas are now operational but only during daylight hours. The Guam International Airport Authority this morning sent two senior airfield electricians to Saipan. The GIAA team will help the Saipan airport resume full operational capabilities. Tinian Airport: Tinian Airport is severely damaged. Operations are restricted to military, humanitarian and relief efforts only. No commercial/passenger flights. Tinian Roads – Main, secondary and tertiary roads are now clear. Debris cleanup around government offices and properties continue. Tinian – Fuel – Propane and Diesel are available at Wushin. Hours: 8am – 5pm (next to fish and wild life) They are only filling containers for household use, not cars, trucks or businesses. The Dept. of Public Safety will be increasing public patrols to ensure the safety of residents is maintained. Additional substations will be open. A fatality was reported as a result of carbon monoxide poisoning earlier today. 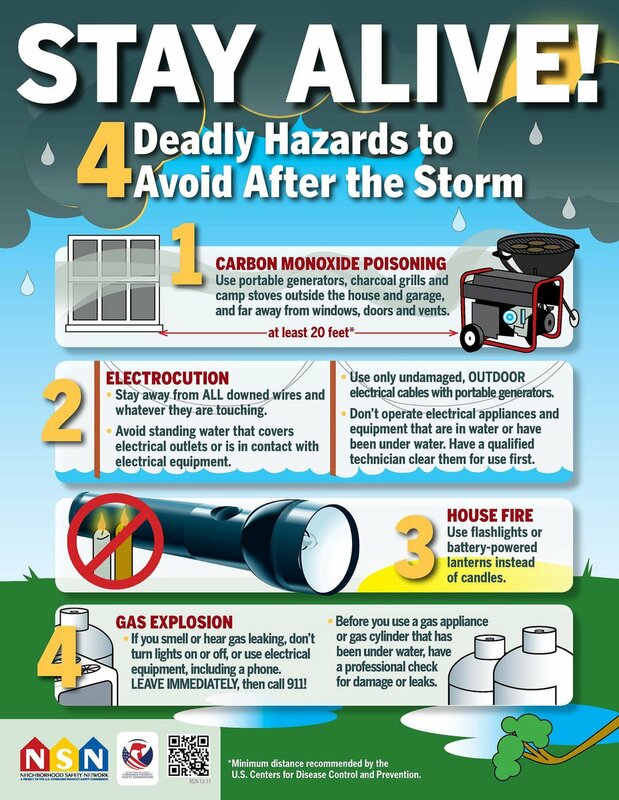 Residents are urged to follow basic precautions and not use generators indoors and keep them 20 ft from buildings. For additional tips please see below. Kannat Tabla water filling station is open from 9:00 am to 3:00 pm. Limited to filling up to 50 gallons per vehicle. Six additional stations are open today: Koblerville, Capitol Hill, Navy Hill, Kagman, As Matuis, and Kannat Tabla. The Dept. of Public Safety will be increasing public patrols to ensure the safety of residents is maintained. Additional substations will be open. Yesterday a 400 KW Generator arrived from Guam and was installed at the Maui Water Pump Station. The water pump system was powered up and was functioning but the system was compromisedby the amounts of leaks and system ruptures due to collapsed structures. The Army Corp of Engineers is now assisting with this issue. Arriving in Saipan today is a forward team from the Guam Power Authority. They anticipate an immediate briefing with CNMI officials before beginning their assessments for both Saipan and Tinian. GPA also is communicating with CNMI and FEMA officials to coordinate the next wave of personnel and equipment. 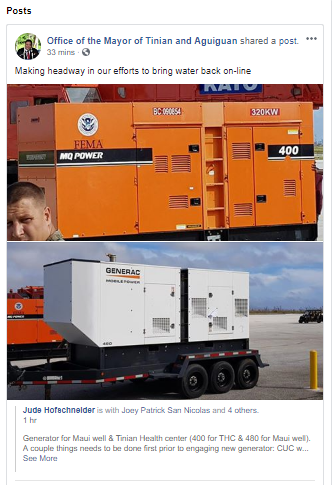 The best news of the day/morning so far is the arrival of the generators that will power the Maui Water Pump Station and the Tinian Health Center. More power generators are also on their way. The 2 main Gas Stations on the Island of Tinian are still unable to pump gas due to gasoline infrastructure damage. The Mayor of Tinian has been working with Mobil to address these issues and the Mobil Corp has dispatched employees to help resolve this. Tinian Airport: Tinian Airport is severely damage. Operations are restricted to military, humanitarian and relief efforts only. No passenger flights. TINIAN – NO GAS STATIONS ARE OPERATIONAL DUE TO HEAVY DAMAGE. Main roads and secondary roads have been cleared. Road cleanup continues but is slow progress as fuel for trucks and personnel are limited. Tinian – Fuel – Propane and Diesel are available at Wushin. Hours: 8am – 5pm (next to fish and wild life) They are only filling containers for household use, not cars or trucks. Hagåtña – The Calvo Tenorio administration has been working with federal and military partners, as well as with local agencies to extend assistance to the Commonwealth of Northern Mariana Islands to assist with their recovery efforts following Super Typhoon Yutu’s devastation. Approximately 140 Guam Guardsmen are expected to report on Monday and begin duty on Saipan as early as Tuesday or Wednesday of this week, for approximately 60 days. The Army Guard’s 1224th Engineer Support Company is to assist with recovery efforts to include support of U.S. Indo-Pacific Command and FEMA as the lead federal agency in support of debris clearing missions in CNMI. Governor Eddie Calvo, recognizing the need in Tinian and Saipan, has given final approval for the Guam National Guard’s support mission. Mayor San Nicolas asks for your continued patience as they work diligently to restore water. He will have an update on this situation soon. There are 17 shelters open, hosting 1,043 occupants. Gov. Torres asks all residents to boil or treat non-bottled water before drinking, using it for cooking or before mixing it with baby formula. 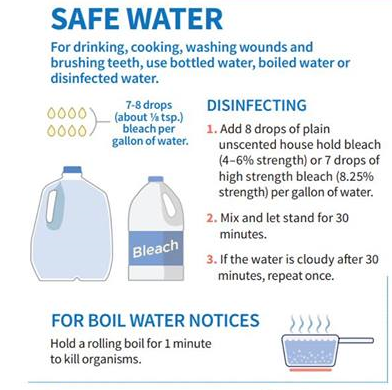 For instructions on how to treat your water so it is safe to drink please see the graphic below. Sheltering: Most of the shelters have extensive damage and are unsafe for residents to seek shelter. The CNMI Government is working around the clock to assess alternative sites for residents to be able to shelter. We ask the community to please be patient and to seek shelter with family members or friends. Neighbors, now is the time to assist one another. A large industrial generator is being shipped to the island in order to get water pumps working again. There is a water station being operated manually by CUC personnel at that Maui Water Pump Station during daytime hours. The water distribution is for residents only and not for businesses. All 3 Islands are without power. Back-up power generators have been requested to support critical activities: emergency operations, hospitals, clinics, etc. A number of gas stations have reopened, while others will remain permanently closed due to extensive damage. Saipan has generator fuel, but distribution is challenging due to a number of destroyed roads. Officials are unable to access the utility distribution system to assess damage. The entire power distribution system is completely destroyed. The island will be relying on power generators until the entire system is rebuilt. Most banks and ATMs are functioning through generator power. Others will be reopening once repairs are made. Significant damage to cell towers throughout the 3 islands is impacting wireless reception/communication; but telecommunications companies have begun working on restoring service. Port of Saipan is open for daytime operations only. Saipan Intl Airport is open. Due to severe damage (see images below). Operations are restricted to daylight hours. There will be only 6 commercial outbound flights beginning today Sunday 10/28. Inbound flights are restricted to current residents and humanitarian relief organizations. Tinian Airport is severely damage. Operations are restricted to military, humanitarian and relief efforts only. No passenger flights. Tinian Port is now open for daytime operations only. Tinian – NO GAS STATIONS ARE OPERATIONAL DUE TO HEAVY DAMAGE. Several main roads have been cleared. Road cleanup continues but is slow progress as fuel for trucks and personnel are limited. Port of Rota is open. There are currently 3200 tourists and visitors in the Island of Saipan. Many have managed to rebook and are scheduled to depart via the commercial flights beginning today. Many hotels have independent power and water generation and remain open, while others have reduced services or have closed due to damage. Tourists are encouraged to visit the official CNMI government website at www.gov.mp or their official Facebook page at: www.facebook.com/CNMIgov for travel information. Guam: Airport and port are fully operational. TUESDAY – SATURDAY…Partly cloudy with isolated showers. HIGH TEMP 90F. Gov. Torres, CNMI officials, and FEMA leaders met via teleconference with FEMA Administrator Brock Long and FEMA Region IX Administrator Bob Fenton to plan recovery efforts. The call included federal and military partners. The disaster declaration makes more federal resources available to CNMI. The Dept. of Public Safety will be increasing public patrols to ensure safety of residents. Additional substations will be opened. 17 shelters are open and hosting 1,043 occupants. CUC (Utility Co.) is working on setting up water stations for residents within the next 24 hrs while the well systems are being repaired. Gov. 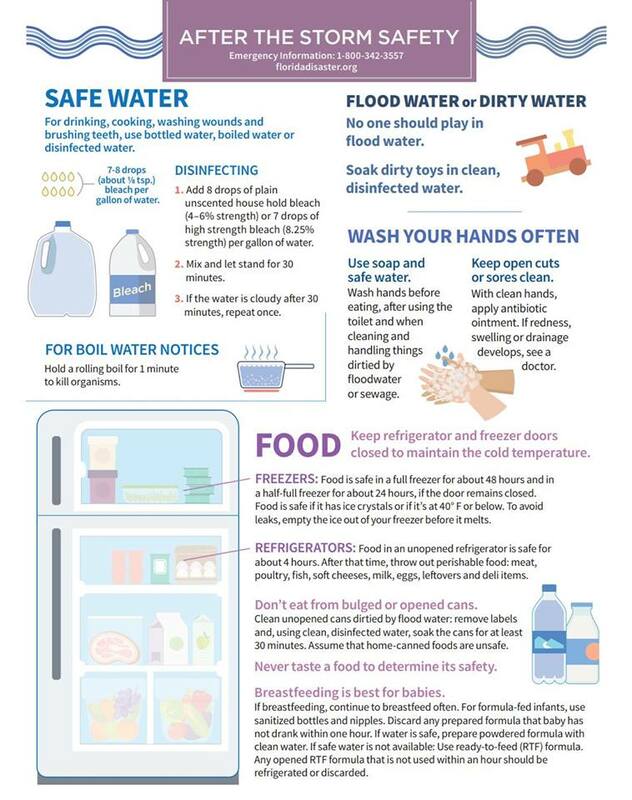 Torres urges residents to boil non-bottled water before drinking, cooking, or mixing it with baby formula. Distribution sites are being prepared and secured for food, water, and supplies. Distribution locations and hours will be provided to the public shortly. Water: Due to extensive damage to the electrical systems at the water wells, CUC’s immediate solution is to determine the best areas to set up water stations where residents can receive water while repairs to well systems are resolved. The CUC looks to complete this within the next 24 hours. An official update will be forthcoming. The generator to get water back online is undergoing repair tomorrow. If successful, water services will resume soon after. An official update will be provided once crews have determined the extent of damage. There is a water distribution station being operated by CUC at Maui Pump Station during daytime hours. The station is for residents only and not for businesses. Most banks and ATMs are functioning through generator power. Others will be reopening once repairs are made. Significant damage to cell towers throughout the islands is impacting wireless reception/communication; but telecommunications companies have begun working on restoring service. Guam has regained normal wireless service. Many areas throughout the islands are inaccessible due to debris on roads. Port of Saipan is closed and awaiting completion of inspection. When the port re-opens it will only be able to perform daytime dockside operations. Saipan Intl Airport is currently closed due to severe damage. Once it reopens CPA will restrict operations to daylight hours and humanitarian and relief inbound flights only. Commercial Outbound flights are expected to begin Sunday 10/28. Major roads and most secondary roads are accessible, and beaches remain open. Tinian – most roads are impassable due to heavy debris. Tinian Airport sustained heavy damage. Power restoration is a priority. Currently, there are limited flight operations and these are restricted to humanitarian and relief efforts only. Port of Tinian remains closed and is undergoing assessments. Updates will be provided as they become available. Benjamin Taisacan Manglona International Airport is open. Port of Rota is still undergoing assessment. As updates become available, notice will be provided. At this time the tourism industry is in its initial stages of recovery. Many hotels have independent power and water generation and remain open, while others have reduced services or are closed due to damage. 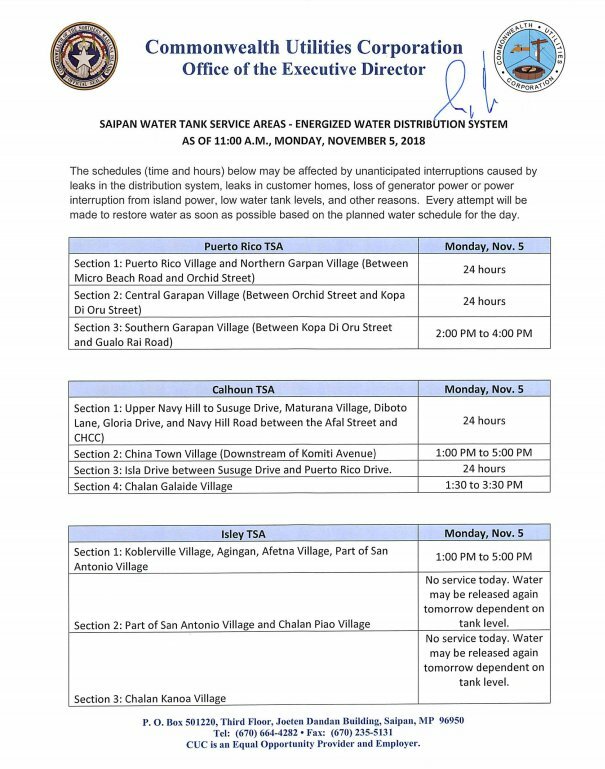 The Saipan Ironman 70.3 schedule for October 27, 2018, has been cancelled. For travel information, visit the official CNMI government website at www.gov.mp or their official Facebook page at: www.facebook.com/CNMIgov. Guam: Seaport open with restrictions. All Government offices are closed until further notice, as many departments and agencies report damage to buildings. All schools and colleges will remain closed until further notice. CUC will be distributing water from the Maui 2 Well Pump Station at a location near the residence of David Cing. There are currently over 200 personnel members in CNMI. These members are part of DMAT, IMAT, ISB and ESF teams. Senior Leadership are holding daily coordinating calls. FEMA Region 9 is looking into short and long term housing for survivors whose homes were destroyed. Gov. Torres has given “All Clear” order. Emergency Operations Centers are open in Saipan, Tinian and Rota at highest level. Sheltering: There are currently a total of 677 individuals in 17 shelters across CNMI has 14 days of commodities for the population. Health: There are 14 FEMA Disaster Medical Assistance Team in CMI to support health & wellness. Tinian Medical Center is closed due to extensive damage. No patients were present or injured. There is no damage to Rota health clinic. Saipan Hospital and Rota Medical Center are on generator power. CHC treated 133 patients most wer lacerations and injuries related to Typhoon Yutu. We will profile one patient treated today in this thread. Sec. Azar this afternoon issued a Public Health Emergency Order for CNMI which will help provide additional resources for residents on the island and support to medical facilities. CNMI: Widespread power outage throughout islands; generators have been requested to support critical activities: hospitals, clinics, etc. CUC (Power Co.) has 21 days of fuel available to support current critical generators. They are currently working with partners to begin the restoration process once the needs assessment is completed. CNMI: There is significant damage to cell towers throughout the islands and there is complete communications outage in many areas. Guam: Has intermittent cell service. Saipan Intl Airport sustained significant damage, assessments planned; most flights cancelled. Tinian Airport sustained extensive damage. There is only 1 runway open for military flights. CNMI: Many areas throughout islands are inaccessible due to debris on roads. All Government offices are closed until further notice, as many depts/agencies report damage to buildings. All schools and colleges are closed until further notice. Tinian Health Center is open for emergencies. b) Please separate your garbage into separate piles away from power lines. (see graphic in thread). There are currently over 200 personnel in CNMI. These members are part of IMAT, ISB and ESF teams. The Response Operations Center has been activated in support of Typhoon Yutu, as well as an Incident Response Coordination Team.